James Fahey in action for the Cannons. Photo by James Cirrone. Every once in awhile, a pair of high school teammates meet up again, whether it be in college or the professional level. For a pair of Boston Cannons teammates, they’ve had the opportunity to compete against and with each other for nearly a decade. Ryan Izzo and James Fahey, both key cogs in the Cannons defense, played together at UMass. But before their college days, the two competed against each other in the MIAA. Both had different paths to the pro game. Izzo was drafted in the fifth round by the Ohio Machine before being shipped to his hometown team. Fahey, meanwhile, hadn’t viewed professional lacrosse as a career path. It took open tryouts for the Cannons’ longpole defender to get a look. “Throughout college, I never thought of myself as a player who would get drafted,” Fahey said. “Senior year, I really put together a real good season and coach told me I could play. I wasn’t drafted in 2014, back when it was in preseason, and it was based off junior year and not senior. If it was the way it is now, maybe I would have been drafted. Izzo also saw how his teammate has grown on the field. Ryan Izzo feeling right at home back in Massachusetts. Photo by James Cirrone. Growing up in Boxford, Fahey initially went to Masconomet before transferring to St. John’s Prep in Danvers, en route to aiming for a state title. “It was the competition level and ability to win a state title,” said Fahey. “Those were two things i really wanted. I want to play (Lincoln-Sudbury), Duxbury, BC High, Xaverian, I wanted to play Billerica, all these powerhouse programs in Mass. Masco is very sheltered in their program, not a lot of their kids were full time lacrosse players or played club ball, a lot didn’t have aspirations to play college lacrosse. When season time came they took it seriously, but St. Johns Prep played full time summer, indoor in the fall and winter, then captain’s practice in the spring. I tried to get Masco to partake in offseason activities, but some kids would rather go skiing with parents, they didn’t want to play. Friends who went to St. John’s Prep painted a real good picture, and they had an opportunity to win a state championship. Fahey made it to the state title game in his junior season, where Prep picked up a “controversial” loss to Duxbury, and then in his senior year, a “controversial” win over the Dragons. Izzo, a Walpole grad, was also successful in his quest for a championship. That loss to St. John’s Prep was a game that Fahey remembers well. “I remember my junior year we played at Walpole, it was so hot on turf, they had brand new turf, it was their first season on it,” Fahey said. “First hot spring date of the year and Walpole was good. They had a really good faceoff guy, they had Butts and Izzo. Connor Whittemore going to Merrimack, they had a pole going to UVM, their goalie was unbelievable. One of those games you wanted to transfer to St. John’s for, to be a part of. The second time around, it Walpole got the better of Fahey’s Eagles. Izzo also almost had a path that didn’t include pro lacrosse, as he initially intended to play football at the next level. “I had my achievements in football, and a lot of people thought that would be my sport, and I even though that junior year.,” said Izzo. “I started recruiting process, went to Syracuse, Richmond, BC. While I was there I visited Richmond and played lacrosse, they told me I had potential to play lax at the next level. Before playing in high school, the duo played together for a club team. Those days of youth were also spent attending Cannons games, where both Izzo and Fahey grew up attending contests before the team had even moved to Harvard Stadium. After competing at the high school level, both took offers to play at UMass. 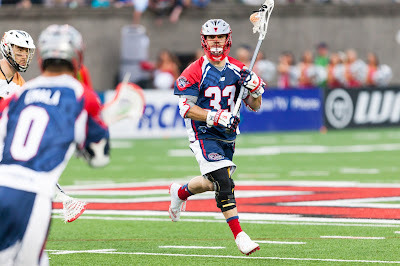 Izzo and Fahey, along with Cannon captain Will Manny, are the only three Minutemen in Major League Lacrosse. 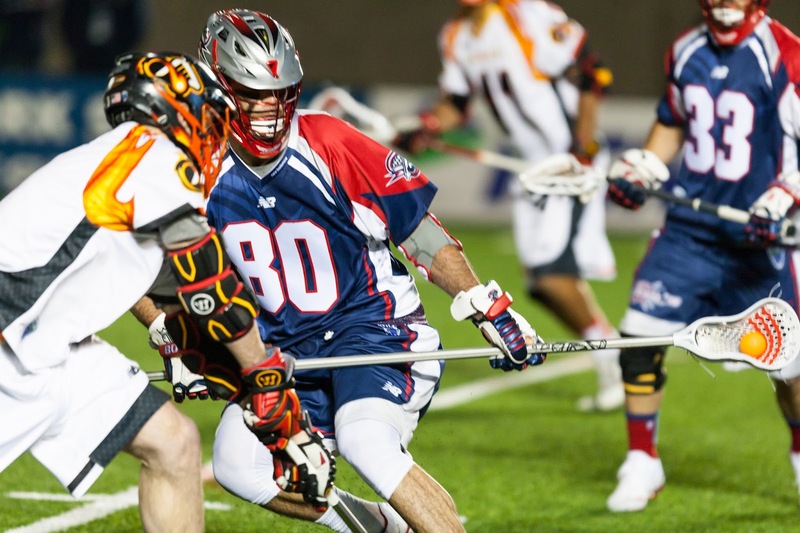 Now, members of a Cannons team looking to return to the postseason, it isn’t lost on either local product how far they’ve come. “To be able to make it to this level is a dream in itself, but growing up watching the Cannons' original team is an honor,” Izzo said.